Serpentine Upholstery Springs are manufactured in a continuous ‘S’ shape and sold either in specific cut lengths or a continuous length, where the user will cut the spring to a specific length dependent upon the application. 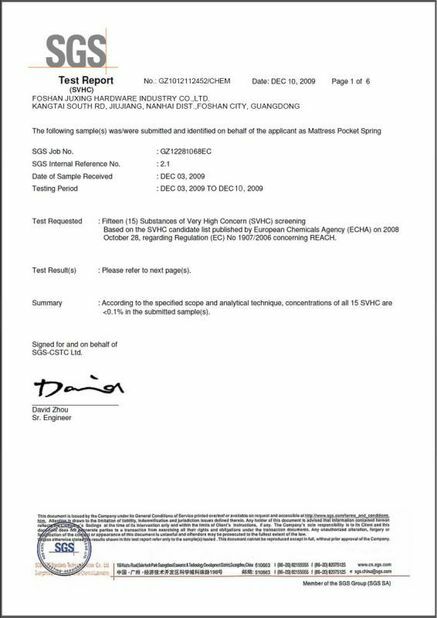 The wire size used is normally standard 9 gauge spring steel wire (which equates to 0.148” or 3.76mm) for the seating application and 11 gauge (which equates to 0.120” or 3.05mm) for the backs and or arms. 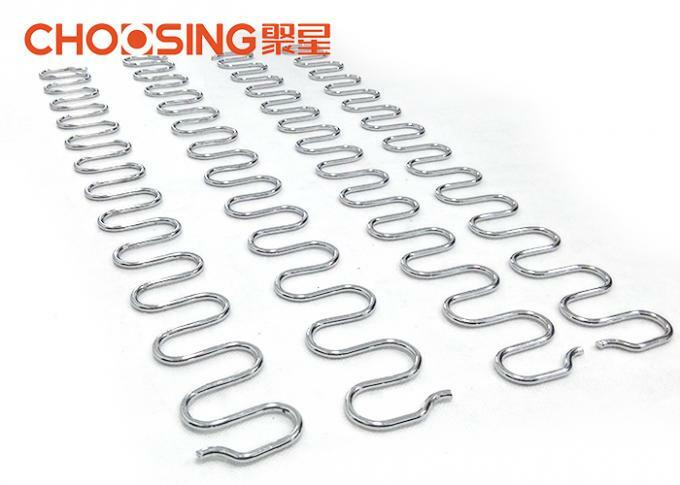 The function of Serpentine Spring used in furniture upholstery, is that the spring runs from front to back, or in the case of the backs from top to bottom, and is securely fastened (usually with a strong clip which is either nailed or screwed to a strong frame) at each end. The fixing of Serpentine Springs for furniture is important because you don’t want the fixing to drift or slip forward when the spring is put under tension, otherwise the cushion will sag after a very short period of time. When measuring the required length, it is important to only measure the distance across the area to be bridged with the Serpentine Spring, and not allow for any bowing of the spring which may or may not be required. This measurement will make the difference between the spring fitting perfectly, or sagging or lifting of the cushion. So it needs to be right. Another factor when using serpentine upholstery springs is the distance between the springs themselves across the chair (or couch). If the gap is too wide, then the cushion will have a tendency to fall down the oversized gap. Conversely, if the gap is too small it may end up either being too strong with little or no ‘spring action’ in it, or simply be too hard to comfortably sit on. Usually a couple of inches gap, (or 50mm) is perfectly adequate. When measuring, please do not allow for the arc, the inside frame measurement is the size required. 3. Passed the fatigue test,can reach exceed 20,000 times not out of shape. 4. Antirust treatment,surface of the spring was processed with the enviromental paint. 5. Mostly be used in sofa seat and back. 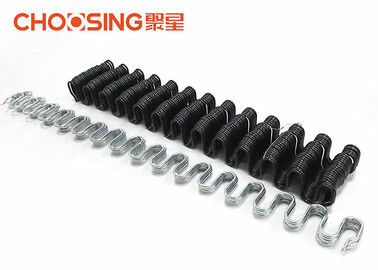 Flat zigzag spring is straight shape.It's mostly used in chairs and car seat. 2. 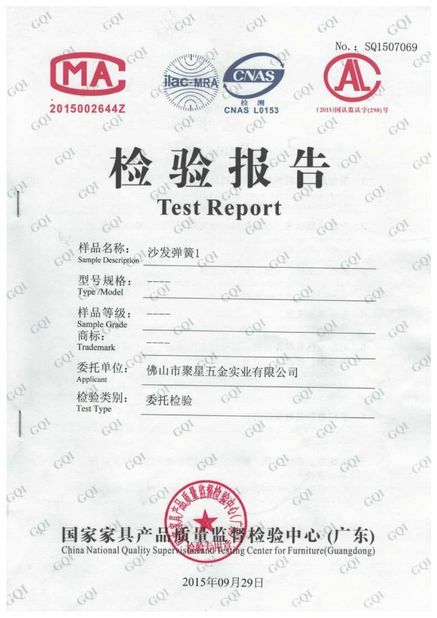 As regards the payment term,if trade in EXW,goods will be loaded in factory or if you need us send the goods to appointed loading place,it's also ok,but maybe will have extra fee.​If trade in FOB / CIF term,goods will be shipped from Guangzhou / Shenzhen port.